Are you clear on your business? When I meet with new clients, they often point to the struggle they see in their business. Often, it’s a lack of business coming in the door, so they assume it must have something to do with their sales and marketing. The truth is, it could be the systems you have in place or it could be that the target market isn’t quite right. There is not one part of your business that doesn’t impact the others. So even though you may think you know where the problem is, the cause could be many things or something seemingly unrelated. Perhaps you’ve made goals for this year already. I bet you considered your sales goals, marketing goals and even gave team members goals to strive for… but are you sure you were looking at the whole of your organization and not just the likely suspects for growth? It’s essential that we look at all the pieces – even the ones we think are working well. It’s easy to think everything is fine when you don’t hear a squeaky wheel, but running a business can be like running a car. It’s a lot easier and less expensive to oil the wheel before it starts squeaking and wearing down. Your business also needs an annual check-up to ensure all the parts are working as effectively as possible. That’s why I’ve developed the Business Performance Assessment. In this assessment, each piece of your business is addressed from working relationships to analytics. It gives you a chance to dive a little deeper and ensure you are seeing the big picture at the same time. These are the core pieces of your business. If you aren’t looking at all the pieces, it may be easy to just tell the sales team that they need to up their game and get more clients in. When you look at the entire picture though, it may not have anything to do with sales at all. This is why a coach or a consultant can often see things you don’t see in your own company… you’re just too close to see all the pieces objectively. 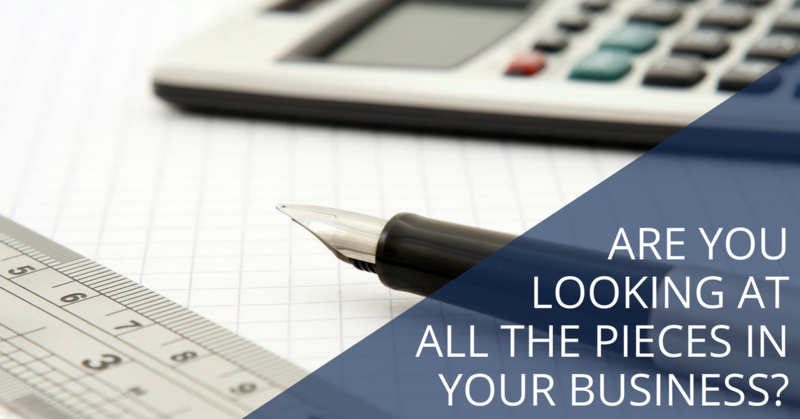 Want to get a clearer picture of your entire business? See how you do on this assessment. I’ll send a custom response (no automated, generic results) and you can even choose to set up a time if you’d like more clarity around your assessment results. Have questions? Contact me. Let’s see how I can help support you and your business.